The new Ofsted framework (currently out for consultation) states that inspections will not examine any internal school data. Therefore, headteachers and school leaders need to have a thorough understanding of their exam results, the ASP (Analyse School Performance) and IDSR (Inspection Data Summary Report). Do you understand your KS1 an d KS2 school data? Do you know what Ofsted is looking for in your performance data? Do you need a better comprehension of the ASP or IDSR reports? Do your Governors need a course that is suited for them? We have created two video courses to help you..
Ofsted’s ASP (Analyse School Performance) website gives you access to your school’s detailed performance data. Ofsted intended the visual displays to be quick to interpret, but it is actually a very detailed document and not necessarily straightforward and easy to interpret correctly. In this course, we will look at the website and the data nuances contained in the reports and all the new features found in the ASP this year. 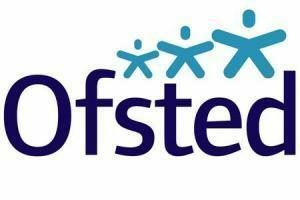 Ofsted’s new School Inspection Data Summary Report (IDSR) will be used by Inspectors to prepare for short inspections instead of referring to the ASP reports and will inform the initial conversation between HMI and the headteacher. In this course, we will go through each page of the Ofsted Inspection Dashboard, so that you, other school leaders and your governors will be able to understand it better.. Both courses include a free pdf download of our “Points to Ponder” handout which asks the questions that Ofsted will ask about your data!! These courses usually retail for £99.99 each. However, the links on this page reduce the price to only £24.99. If you would like both, please use this link to buy the first one for £39.99. We will then send you a link to get the other course for free – save £10. Find out the new features of ASP this year. What have other headteacher’s said about the training? IDSR – Explanation of the flying saucers. Points to ponder are brilliant!! Information on how to navigate my way through the various sections and where to find specific information was really helpful – It should help us back in school when analysing data. Just useful having a very clear overview linked to Ofsted Inspection Framework. Thank you. I liked the “tips and tricks” that were shared. Points to ponder very useful. All very clear and made a complex topic manageable. A very effective overview and a great deal of information. ‘Points to Ponder’ very useful! A really useful session which will support my work in using data appropriately to drive school improvement. Very valuable! Aided confidence & competence understanding schools data. As a Junior school it was very useful to understand the whole process. I particularly enjoyed the clarity of the presentation and the opportunity to clarify elements of the reports. Clear, precise information – put in a simple way. Very Valuable! Most useful aspect: The questions (hand-out) – Points to Ponder – taking to SLT to feed into SEF. Talking through the ASP + IDSR was useful as a new analysis of data. Very informational + simply explained. Thank you. How can I preview these courses? Get Ofsted ASP Explained: Primary 2018 for only £24.99. Get Ofsted IDSR – Primary 2018 for only £24.99. Buy one get one for £15 – get Ofsted ASP Explained: Primary 2018 for only £39.99 and we will send you a link to get our IDSR course for free – save £10. If you have any questions, please let us know through the contact form below.